Let the Baytown Asbury Maple 54-inch Round Dining Table serve you, whether you're sitting down to relax with breakfast or helping your kids with their homework. This American-made table will become an important functioning part of your home, as you go about your busy life. Enjoy the simple elegance this table brings, with its gleaming Asbury finish over the top of smooth, solid wood. 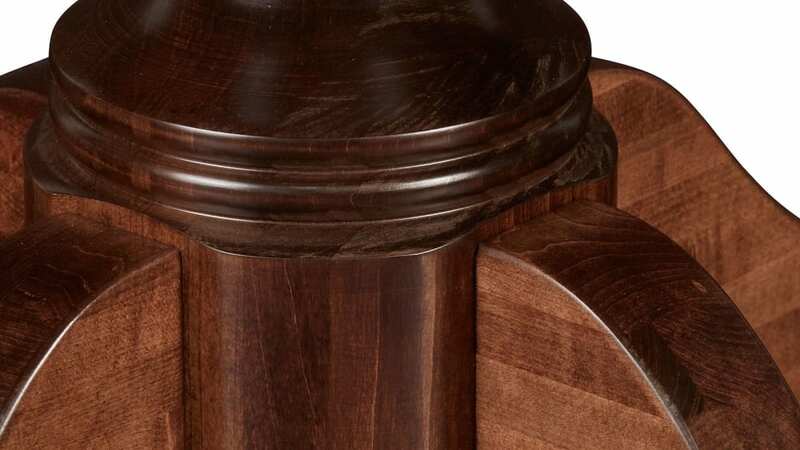 With traditional Amish woodworking, this sturdy table will last for generations. Add this to your collection to start creating lasting memories of special family experiences. 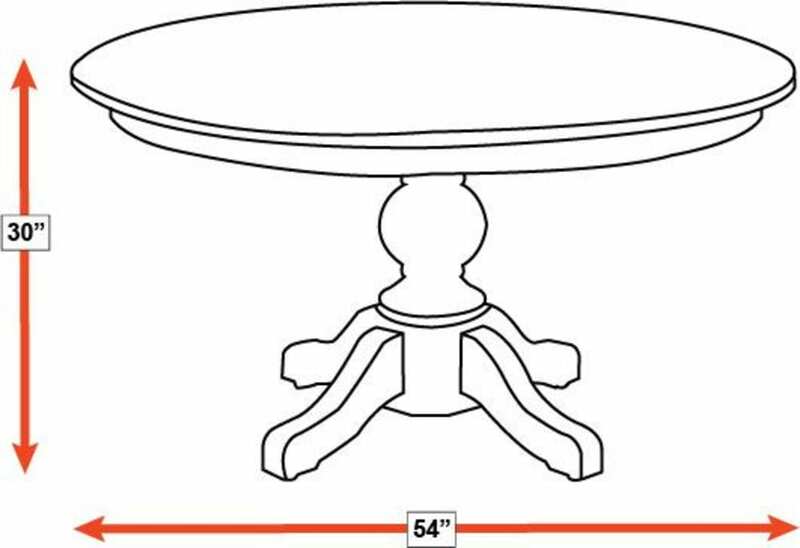 This chic dining table was made in America by expert manufacturers. With traditional Amish woodworking, this table was built to last. The solid maple wood has a lustrous finish. 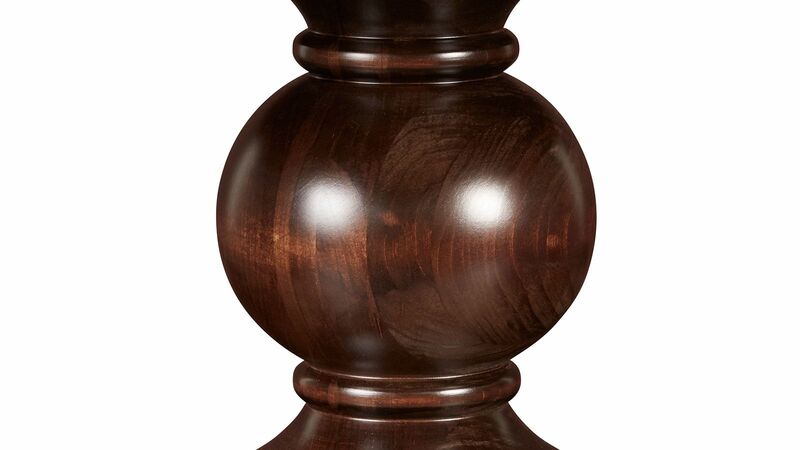 A classic pedestal base adds an element of grace. Thumbnail edging completes the polished look. 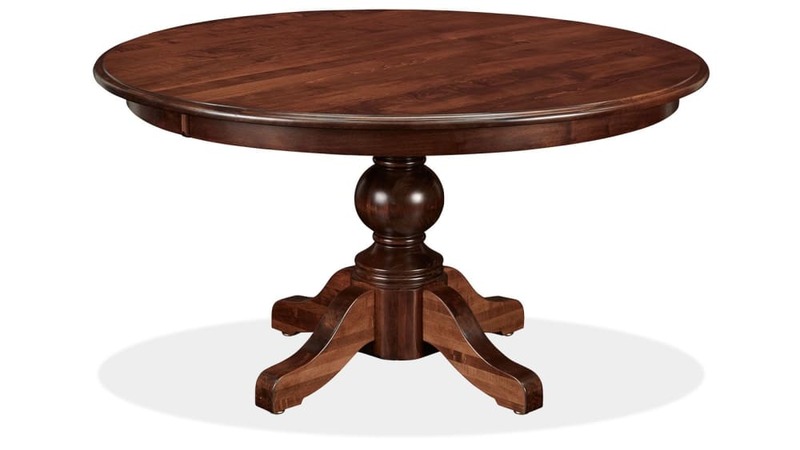 Be confident in your furniture investment with the Baytown Asbury Maple 54-inch Round Dining Table. 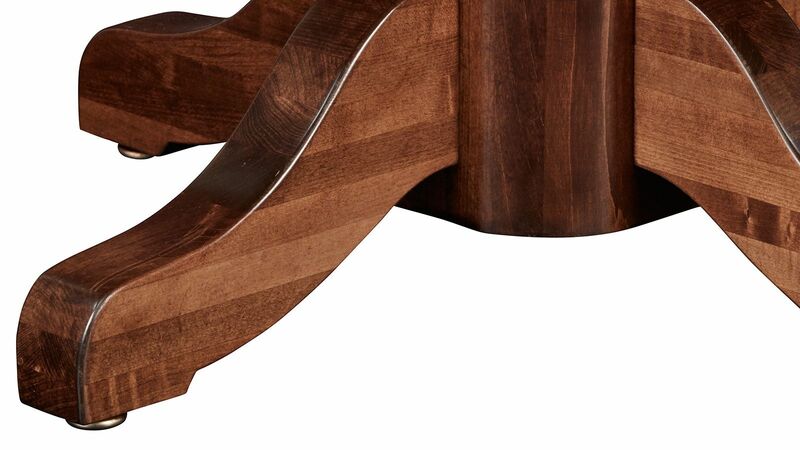 American-made and boasting Amish woodworking, this piece features only high-quality solid maple wood. This piece will become a part of your family, as it serves you throughout the years. 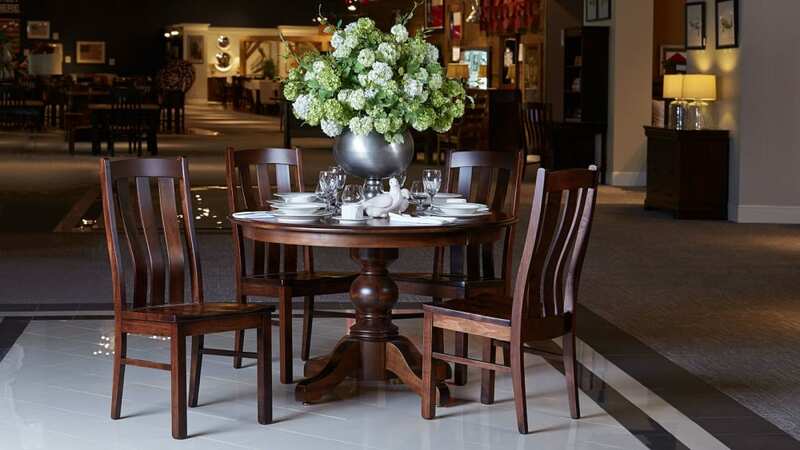 Invite this elegant table into your home TODAY with Gallery Furniture's same-day delivery. Don't wait to gather your family around for mealtime fun. Perfect for either your kitchen or dining room, you can't go wrong with the incredible value of this piece.